Last December, one Thursday night, I was on the couch, in the fetal position, mindlessly watching television. In the Heights had ended almost two weeks previously and I felt an intense combination of empty and sad - a bleak situation, maybe particularly during the holidays. She is the assistant director for the show, and I arranged to meet her and the director (Jason) the next day. So I read. And after that, Jason would say some phrases with a British dialect, and I would echo him. It worked well since I learn well, aurally. And that’s how I became involved in the Echo Theatre’s production of Pygmalion. You know Pygmalion, I’m pretty sure, because you probably are familiar with My Fair Lady. Pygmalion is the play (written by George Bernard Shaw) that inspired My Fair Lady. 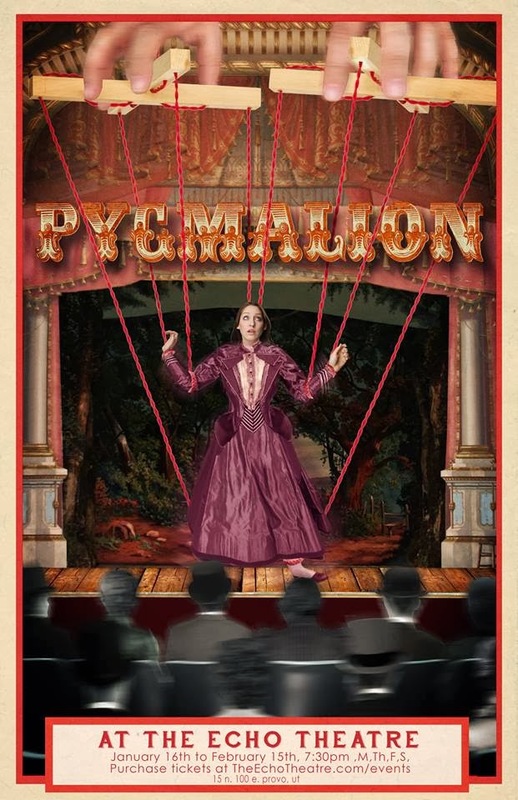 Pygmalion is a straight play, and if you ask me (which you didn’t) it has a better ending than My Fair Lady. It’s fun to be in, and it’s funny (so it’s difficult for me to not laugh on stage). *Seating is first come, first served. Tickets ordered online will be available at Will-Call. Or, you can WIN tickets from me! TWO winners will win 2 tickets. Enter below. Giveaway ends Friday, so hurry! Someday we will be in Newsies together on Broadway, since it's my favorite. But for now seeing you perform locally keeps me happy. How can anyone pick a favorite?! I love Into the Woods. My Fair Lady is also a favorite so I'd love to see this. I super loved In The Heights. For reals. And I want to see it again! Also, I want to see you and Rob in this one. Excited for you. SO many to love, but y favorite is probably Into the Woods because of the wealth of rich, interesting roles--and because of Stephen Sondheim :).